The Mount St. Joseph wrestling team had an easy time locking up their fourth consecutive MIAA A Conference Dual Meet Championship on Saturday morning at St. Joe. The Gaels (No. 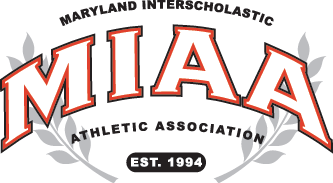 1 in the latest Maryland State rankings) tallied a 61-11 victory over No. 4 Spalding and blanked Calvert Hall 84-0 in the regular season finale. Highlights for St. Joe included two grapplers reaching career milestones. At 120, No. 1 Chris Barnabae, a junior who is ranked No. 13 in the nation by FloWrestling, added pins 100 and 101 to his resume (1:44 over No. 17 Drew Baulblitz (Spalding) and 27 seconds over Calvert Hall’s Zach O’Brocki). No. 8 Jonathan Short (170) picked up his 100th win. In upset news, at 152, No. 10 Chris Roybal caught No. 2 Garrett Fisk with his head too close to his knee and threw him to his back with a cradle, picking up the fall at the 4:14 mark of the third period. Reinforcing recent upset wins were No. 1 Nathan Porter (126) and No. 7 Ethan Stern (195). Both competitors beat their Spalding rivals for the second time in eight days (both matchups occurred last weekend in the Ocean Lakes Invitational finals). Porter edged No. 2 PJ Truntich 2-1, after tallying a 7-2 victory last week. Stern got by No.8 Dustin Radford on an injury default. At Ocean Lakes, Stern beat Radford 3-2. No. 1 Connor Strong (145) made his return to the mat after suffering a knee sprain at the Beast of the East (where he took 8th). Strong pitched an 8-0 shutout versus No. 7 Nick Paolucci (Spalding) and flattened Calvert Hall’s Liam Kammar in the first period, 1:01. Despite the lopsided loss, Spalding had a few things go their way in the St. Joe match. No. 6 Joe Fisk beat No. 7 Clement Woods, 11-4. Fisk won the Ocean Lakes Invitational last weekend, while Woods failed to place. No. 3 Rick Couch put a major-decision on the board at 138 over Brandon Stalnaker (a highly decorated junior leaguer who is filling a back-up role this year), 9-1. No. 3 Brady Pruett took on another Gael back-up at 106, Frankie Antonelli (a state placer last year as a freshman) and cruised to an easy 17-2 technical-fall. Next up for these squads is the MIAA Tournament at Gilman on Friday and Saturday. Seeds for the tournament will be released on Tuesday evening. VSN will be publishing the seeds, so check back in Tuesday night. Pictured above: Mount St. Joseph’s top-ranked 120-pounder Chris Barnabae picked up two falls in Saturday’s tri-meet sweep of Spalding and Calvert Hall and now has 101 pins in his career.